Released by EMI Electrola in 1977. 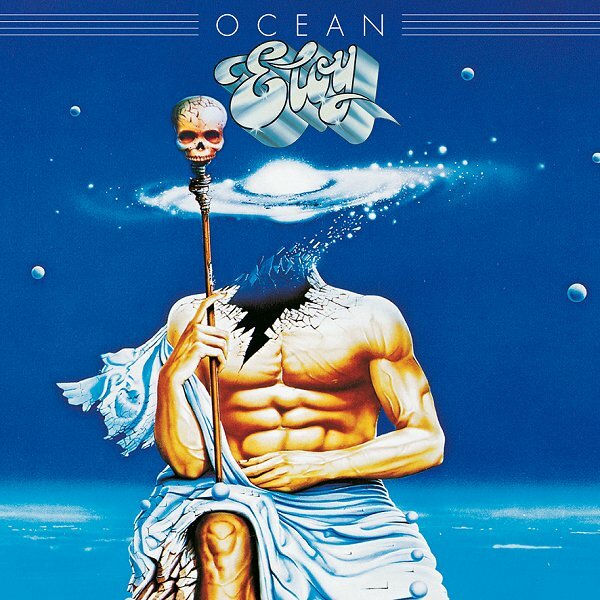 "Ocean" was the most successful album of ELOY, for a reason. More ambitious than their former opuses, this album shows refinements on many points. The few hard-rock influences have vanished, the style and personality of the band is now defined: "fantasy space-rock". The melodies are more noticeable and Frank Bornemann has improved his guitar playing. Compositions become longer again, reaching 15 minutes for the last one. This means that ELOY has completely finished its mutation (started in 1973) to a progressive band. 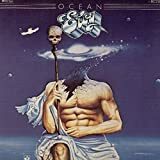 The success of "Ocean" is even more surprising as it was released in 1977, during the explosion of punk rock. "Poseidon's Creation"'s opening shows inspirations from their British elder brothers. The beginning has reminiscences of PINK FLOYD's "Shine On You Crazy Diamond Part 2" introduction with its galloping bass and piercing guitar. The sung part is pleasant while a bit long, and the ending section features an excellent solo from Bornemann. This track will become a classic in ELOY's discography. "Incarnation Of The Logos" is softer. Starting with an ambient intro, it finishes with a nice melancholic melody. "Decay Of The Logos" begins with a spacey intro and then becomes more agressive. Although the shortest song (8 minutes), it has a good progression, various ambiances and a noticeable melody. The record finishes with the evanescent "Atlantis' Agony". This epic is the spaciest track of the album, as it alternates atmospheric passages and dreamy soundscapes. The ending is also very catchy. Only a few lengthy moments prevents this album from reaching the maximal note. 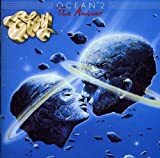 With "Silent Cries and Mighty Echoes", "Ocean" is undoubtedly one of ELOY's best albums, and also an essential record of the space-rock genre. Although not very innovative at the time, the band proves they can compete with their other British progressive brothers. A classic, highly recommended to PINK FLOYD, space-rock, or even symphonic prog fans. Another confident space rock symphony from Eloy, continuing the direction taken in The Power and the Passion and Dawn. This time around the sci-fi Atlantean concept (predating Pallas' The Sentinel to the tune of around half a decade or so!) is the perfect springboard for the band's extended electric workouts. With Detlev Schmidtchen's keyboards at centre stage, the band attain a pulsing, driving sound which captivates right up to the apocalyptic destruction of Atlantis. Although the album does bog down a bit in places - in particular, the spoken word narration just doesn't work - it's still another great entry in the Eloy discography. I'm not too familiar with the whole psychedelic and spacey side of progressive rock (apart from Pink Floyd, my favorite band), but I recently discovered Eloy and decided to give them a shot. 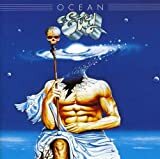 I checked out their page on here and decided that Ocean was my best bet as an introduction to the band. After listening, I have some opinions that I've decided to share. From what I've seen and heard, Eloy does owe a ton to Pink Floyd for their sound. After all, Pink Floyd did pioneer the space rock genre, so you cannot talk about psychedelic bands without bringing up Floyd. But it is true that Eloy did craft their own unique sound, and it could easily be said that they did a bang up job, especially with the release of this album. 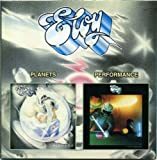 One thing I do commemorate Eloy for is the more focus on the space-rock side as opposed to the psychedelic side. What I mean by this is, although they are psychedelic, their sound is more floaty and vague as opposed to strange and experimental. At least more on the former, since the latter isn't gone completely. Although they are space-y, they are able to keep a solid beat going even when their rocking a track for twelve minutes straight, seen on the opener epic of 'Poseidon's Creation'. When it comes to epics, which this 4-track album consists completely of, you must have differentiating sounds and parts in order to keep the listener hooked. And hook me they did. Every track on this release kept me thoroughly enthralled all the way through. I especially love the beat changes from funk to jazzy in 'Poseidon's Creation'. ' Incarnations of Logos' is a slower track, relying heavily to begin with on heavy ambiatic (my own word for something with ambiance) synthesizer, but does quickly evolve in to a foot tapping melodic track around the second half. The follow-up 'Decay of Logos' takes a more vocal-fronted arrangement, with darker accompanying guitars and some excellent drumming. I would go so far as to say that this song is quite reminiscent of krautrock. Combine that with a catchy riff and you've got yourself a winner. 'Atlantis' Agony..' takes the spot as the longest track on the album, coming in at almost sixteen minutes. It starts out with some slightly in-understandable spoken-word dialogue from Bornemann. It is mostly due to the thickness of his accent, but I guess his voice is good enough that it doesn't really bother me that much. Much like 'Incarnations of Logos', the first half is dedicated to ambiance and free flowing synth, whilst the second half half some funky rocking in it. I mean, if you've heard the rest of the album, this isn't anything special. It is nice, I must say, but I've already seen this before on the album. It does have some nice climactic moments, such as when Bornemann is counting from 84 to 88 around the last five minutes of the song. My overall opinion of this album is sincerely and highly positive. Although my rating would perhaps be a 4.5 as opposed to a full on 5, this album is definitely somewhere in between. Progressive rock fans as well as space/psychedelic rock fans will love this upon listening. It's confident, free-flowing, and above all a mighty fine album. No ELOY OCEAN reviews posted by members yet.